I don’t regularly serve any pre-cooked or frozen meals at home but I am not averse to bringing them for lunch. So when I was given a chance to try out the new line of frozen mirowavable steaming entrées for Healthy Choice, I decided to give it a try. I am the sort of person who usually runs from anything labeled ‘diet’ or ‘good for you’ or ‘sugar-free/fat-free’. I received two samples from Mom Central to try out: Rosemary Chicken & Sweet Potatoes and Portabella Parmesan Risotto. This new line of steaming entrées are supposed to be made with fresh, simple and delicious ingredients without a lot of other chemical additives like other frozen entrées. They take pride in the short ingredients list, only mentioning stuff that you can actually see when you open the package. Our first impression with these entrées is the lack of ‘frozen’ flavor and smell. If you’ve ever had frozen food, you will know what I am talking about. However, with the vegetables, I could sense a difference in texture and flavor. But that is just me. My palate is really honed to fresh vegetables and I can always tell when something is canned or frozen. As you can see in the cooked package below (I took this photo as soon at it was taken out of the microwave and the cover peeled back), it actually doesn’t look too bad. 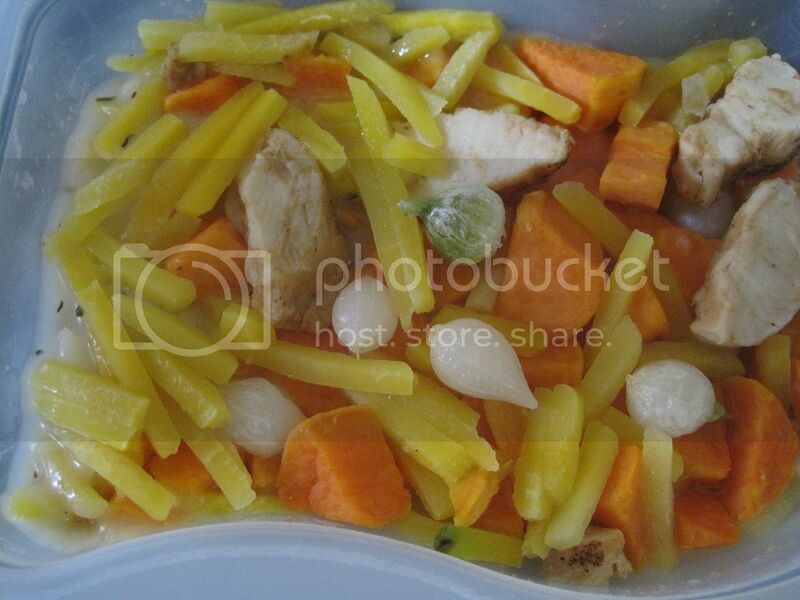 This is the Rosemary Chicken with Sweet Potato, Yellow Carrots and cute little Pearl Onions . My verdict? They are ok and would make a great lunch. Some of my co-workers keep frozen lunches in the freezer at work for the times when they have to have something to eat but not enough time to go out or had not brought anything from home. 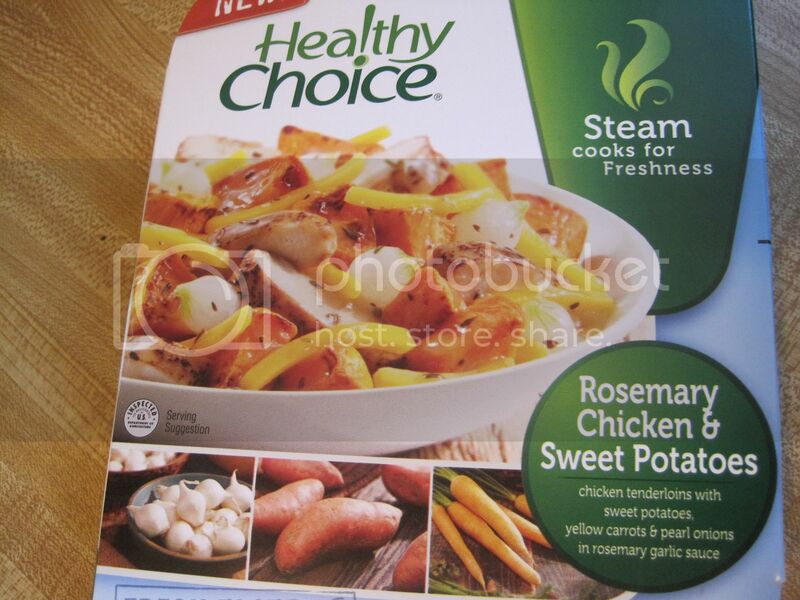 For this purpose, I think I would do the same with these Healthy Choice steaming entrées. At least they are not packed in mystery gravy and the ingredients are recognizable and easily identifiable. The clear plastic packaging is also a step up from the cardboard packaging of other brands, which I think contribute to that ‘off’ taste you get with frozen meals. They are also affordably priced at about $2.50 each which is way less what you would spend if you went out to eat lunch at a fast food place.